Top Dawg Entertainment's newest signee, Zacari is most known for his work on Kendrick Lamar's acclaimed DAMN. (LP 2017), but now he's blending elements of alternative R&B and trap for his solo endeavor. Raised in Bakersfield, California in a musical household, Zacari learned the guitar, drums, saxophone, and keyboard at a young age and later began posting his original songs on SoundCloud. His continual hustle eventually found himself in Los Angeles, where he worked on much of his highly-anticipated debut EP, Run Wild Run Free. 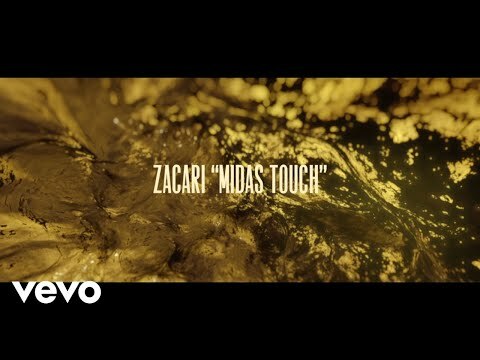 Getting his early start on SoundCloud, Zacari has continued to build his fan base relying on his electric ability to visually speak to peoples hearts and his unique charm that when prompted-- seemingly melts away leaving his fiercely exploratory, socially progressive lyrics and brilliant fusion of R&B, alternative, trap, and trunk-rattling bass. Just arrived, Zacari's freshman year is shipping up to be an exciting one. His creative subtlety; whispery timbre and use of synthesizing R&B compositions have already graced the projects of TDE label mates Isaiah Rashad and Ab-Soul. Don't blink... the half psychedelic, half trill talent is truly proving one to watch. March 18, 2019 Top Dawg Entertainment’s newest signee should be on your radar now. March 4, 2019 “This is only the beginning of my long catalogue I intend to put out into the world."